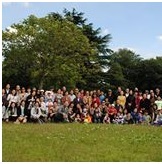 There are about 60 adults attending our Mandarin service every Sunday. Their children (about 35) go to the Sunday school. After the service, we have small group discussion and then lunch together. For regular updates, please go to our Mandarin group’s Facebook page. You can access to our news after you have clicked ‘Like’ on our page.